What is the Writing in the Glory Catalyst School? 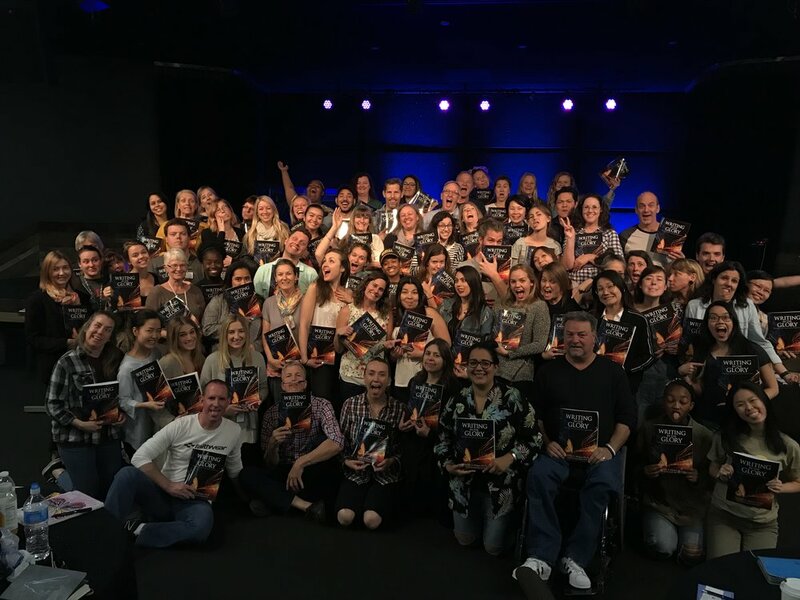 It is a 6 month group coaching program to help get your book from start to finish and to prepare you to steward the movement that comes after this birth. We will walk you through all of the necessary steps week by week and help midwife the birth of your dream come true. This is for those who are serious about seeing their dream of writing a book fulfilled and can invest the time to dive into their project wholeheartedly during this season. It’s also to help the Writing in the Glory Workshop graduates who may feel stuck and need a little extra support to get their book finished. There are limited spaces and an application process to get in. It will include monthly video group conference sessions with Jen, weekly connection with others in the school, exchanging of others chapters to provide feedback and development, tips, strategies to get your book finished and launched, coaching on the publishing process, how to market your book, and time for question and answer in the group sessions as well as regular encouragement and prayer over you and your project. There will be a facilitator to help keep each you accountable, staying on target, and encouraged. When is it and what is the flow? The school will run from January 1 to July 1, 2019. It is wise to plan for a minimum of 1-2 hours a week to be a part of school interactions and then add additional writing time for whatever goals you set for yourself to hit the deadlines. The time commitment will depend on how much time per week you are willing to set aside for your own project. Here is a rough overview of the school. It’s hard to put a price tag on seeing a long time dream fulfilled and stepping into another measure of your destiny. We believe it is a great investment into the purposes of God in each one so we have made it considerably cheaper than personal one-on-one coaching to make it accessible to more people. 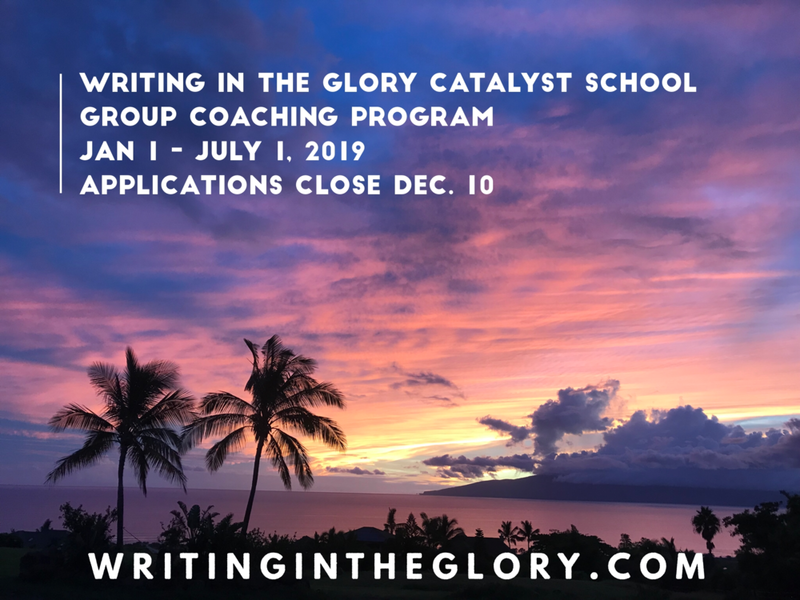 The Writing in the Glory Catalyst School is $1,000 a month for 6 months (total $6,000) or a one time up front payment of $5,000. This price does not include professional editing, publishing, marketing, graphic design, cover design or costs that may be needed needing if self-publishing. If you really feel you want to join and commit to the process but can’t afford this, we encourage you to ask for a sponsor to invest in you and in your dream or if you’re a missionary or in full-time ministry email us where you are at. Any interested in sponsoring missionaries, please contact us. Applications are open now until December 10. There is a non-refundable application fee of $75 which includes the Writing in the Glory E-course (or a coupon to give as a gift if you already have it). Even though this was a dream in my heart to write, I doubted myself and my ability. I can only tell you that the Lord engaged my heart and unlocked the potential that was already there. Jennifer was able to fan the flames of creativity, revival, and gold that were resident in my heart. Writing in the Glory workshops propelled me into becoming an author and I have published my very first book. It is time that you step into your destiny and write what the Holy Spirit has called you into. The world deserves to hear what God has birthed inside of you.